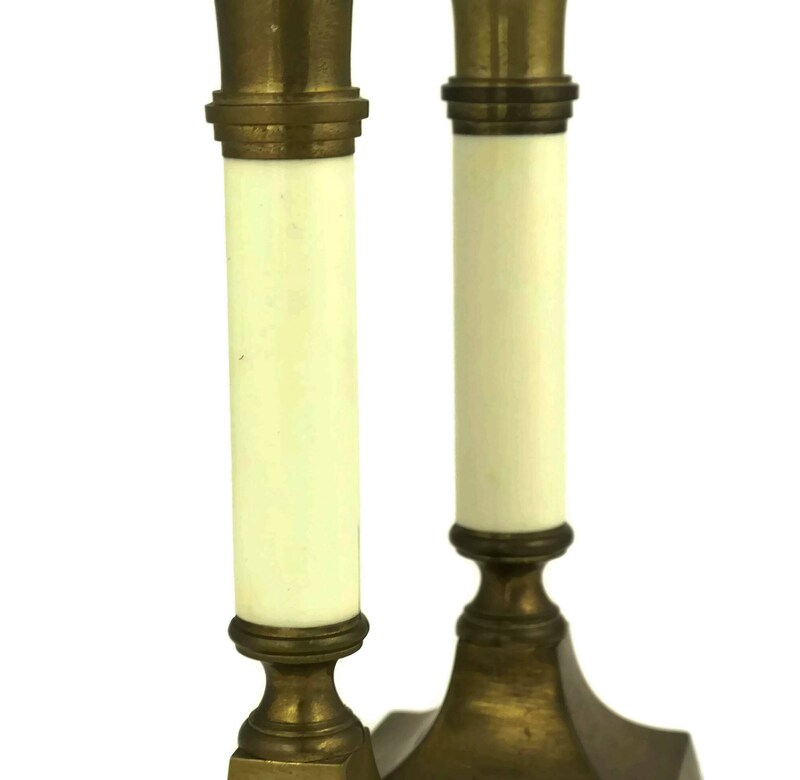 Pair of Vintage Brass and Acrylic Candlesticks. 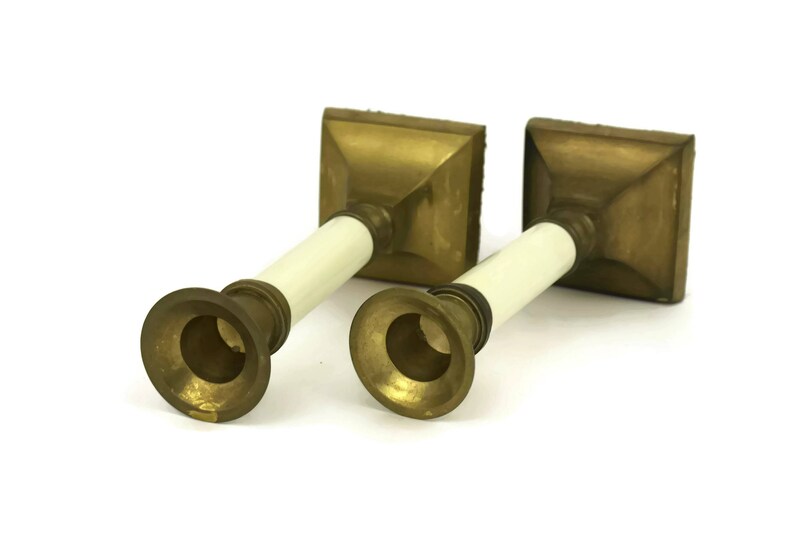 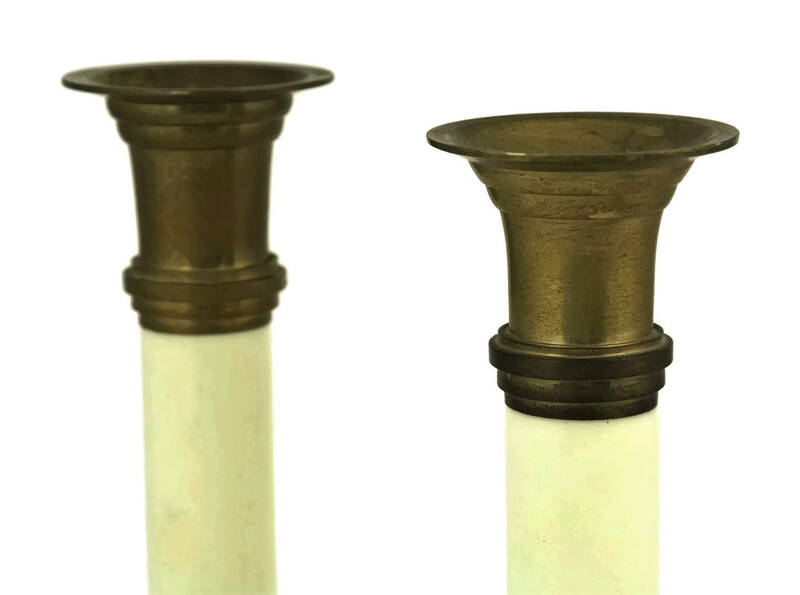 An elegant pair of vintage brass candlestick holders. 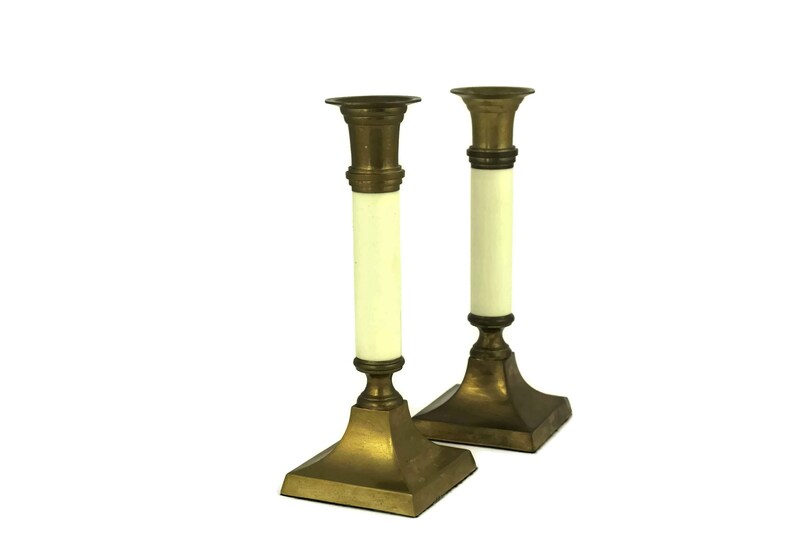 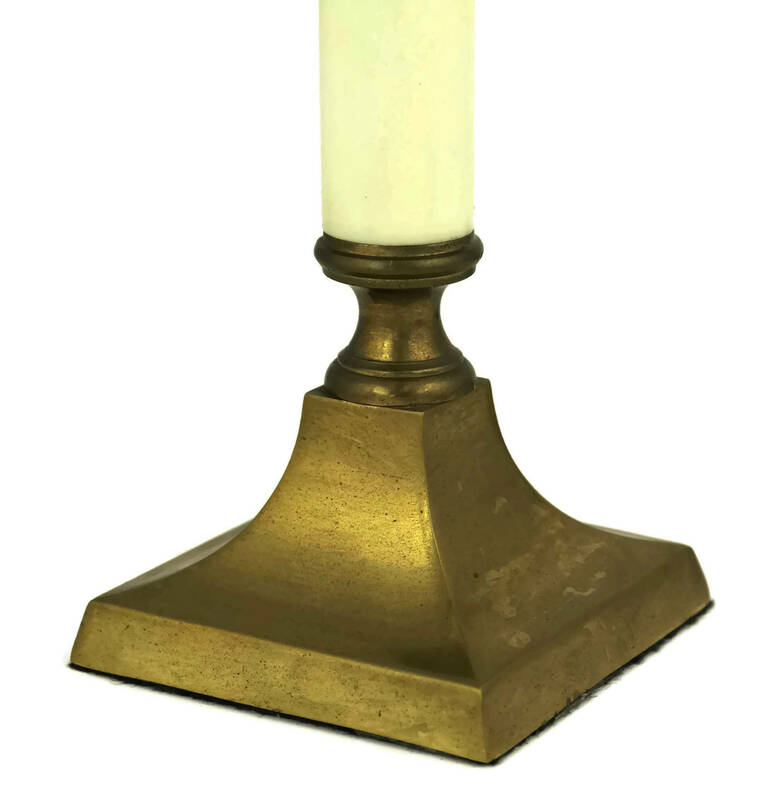 The two matching candle holders feature square brass bases and candle cups. 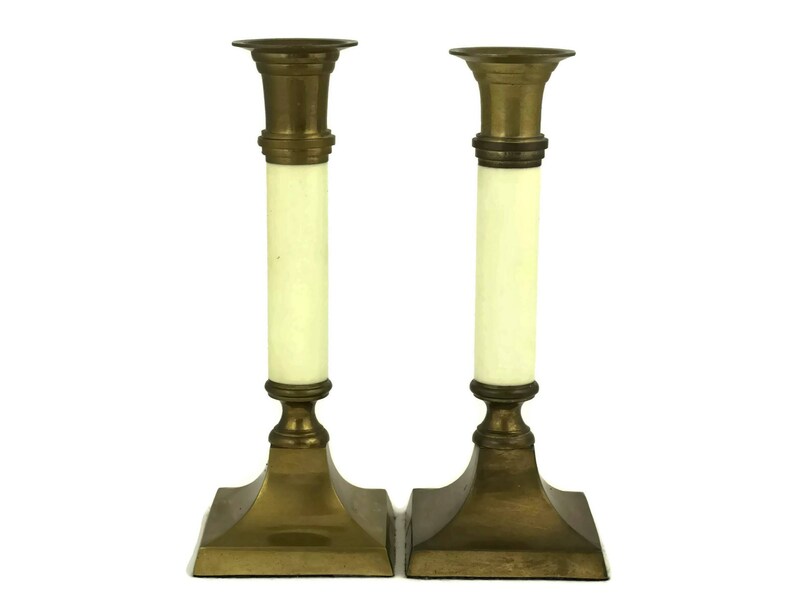 The central pillars are made of acrylic in an off-white shade. 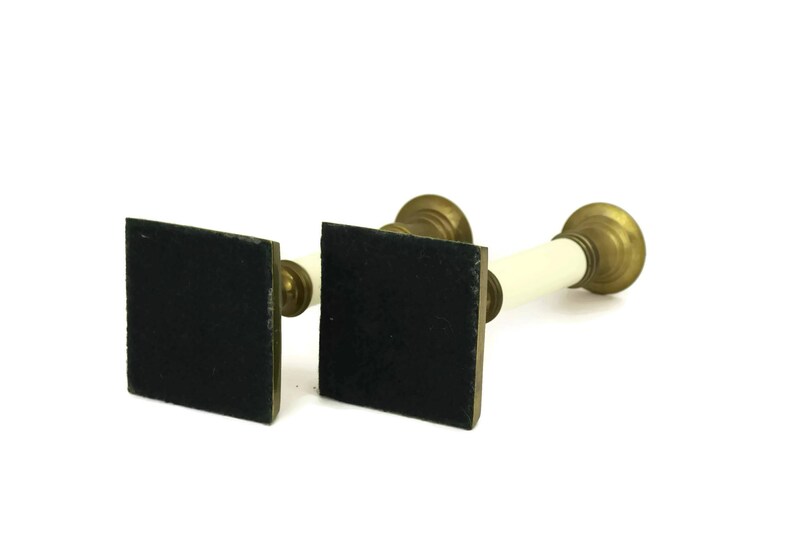 The undersides have been lined with fabric to prevent scratching of tabletop surfaces. 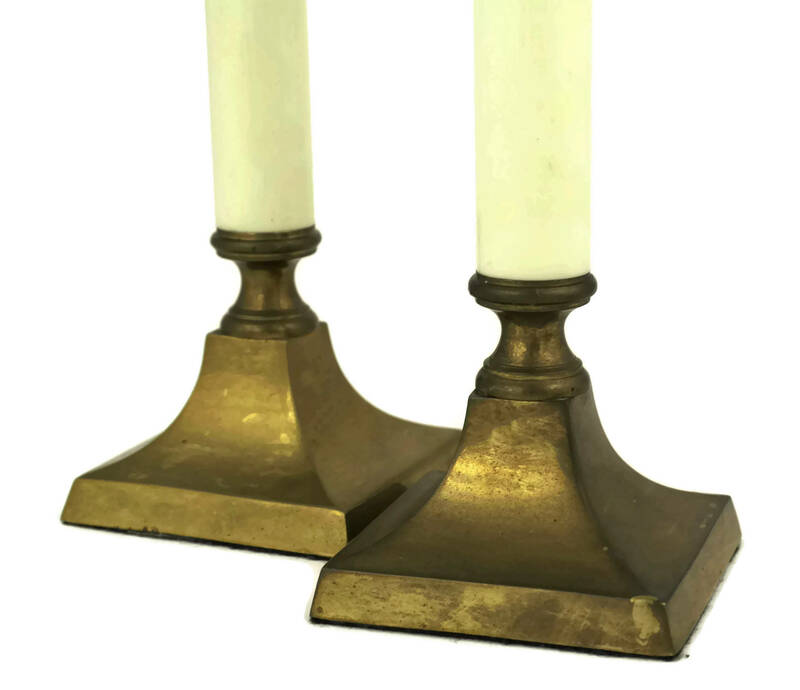 The pair of candle holders are in very good condition with an aged patina to the brass.